Known as an autonomous Spanish community, the Basque Country in Spain delights visitors who make the effort to travel north. Immediately recognized for its fierceness when it comes to its traditions and lifestyles, Basque, Spain’s softer side is being uncovered once again. Some of its most attractive characteristics include curved sandy beaches, sprawling coastal vistas, a welcoming hospitality, and a uniquely divine culinary scene. The Basque region of Spain may be small when compared to the rest of the country, but it packs a powerful punch that ensures you won’t soon forget your visit to the north. The primary language isn’t Spanish: This can be confusing because this is Spain, after all. However, Basque is the official language here and Spanish comes second — maybe. It’s not a guarantee that everyone you encounter will be multilingual. Learning a few key Basque phrases before you go will get you far. Don’t talk politics: Bear in mind the Basque Country in Spain is almost perfectly split into two political subsets; those who are in support of the Basque region’s independence and those who are loyal to Spain. You’ll see evidence of this all over, but it’s best if you keep your opinions to yourself — especially if you don’t know who you’re talking to. Know your pintxos: The Basque-style tapas are little bite-sized morsels are the perfect snack or pre-dinner appetizers. There are places solely dedicated to serving up these savory snacks, and the varieties are vast. Study up on some of the best choices (like anchovy, salted cod, or prawn brochette) before you arrive. Drink sidra: The Basque region of Spain is famous for its food and drink and they do it well. Sidra, made from local apples, sits at the top of the list. This cider is light, refreshes the palate, and pairs well with a variety of food. Get used to the grill: It’s the preferred method of cooking in the Basque Country. Eat a lot of fish and eat it grilled. People are friendly: Don’t be shy in the Basque Country. It’s a tight knit-community, but folks are very open to meeting and chatting up new folks. Start with a friendly kaixo (hello) and go from there. Get to know Bilbao: This is the Basque Country’s biggest city and a place you will undoubtedly spend a good majority of time. The Basque region’s most popular destinations are Bilbao and San Sebastian. However, there are other lesser-known places between the two that make great stops for the intrepid traveler. Below you’ll find tips and advices on things to do in each popular destination as well as the ones that aren’t as frequented. 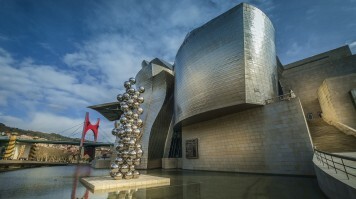 Museums, galleries, and architecture rule in the Basque Country’s biggest, most bustling city. There are plenty of opportunities for art-enthusiasts to get lost in one of the city’s famous museums. If you fancy a little wander-round, Bilbao’s Old Town does not disappoint with its colorful architecture and lively pintxo bars and restaurants. Visitors can then head to La Ribera market for a comprehensive day spent eating, drinking, people-watching, and enjoying live entertainment. Ogle the ever-changing art exhibits at the Guggenheim Museum — the futuristic titanium-and-glass-paneled building. Satisfy your inner-architect by wandering around Casco Viejo — the Old Town, which is chock-full of glorious churches, the Plaza Nueva Square, and lots of interesting old buildings. 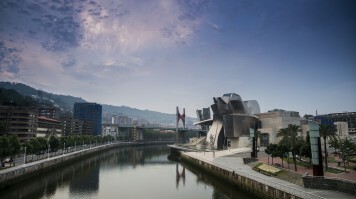 Marvel masterpieces from Goya and El Greco as well as more modern-day artists inside one of the region’s most important fine art museums — the Bilbao Fine Arts Museum. 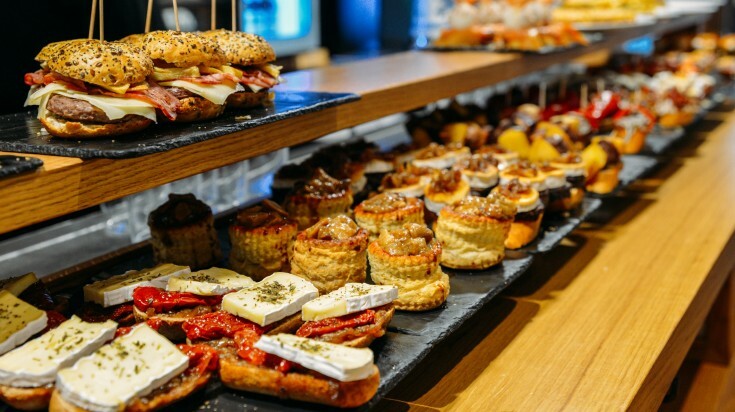 Check out some of our favorite pintxos bars while in town; the creative and contemporary Irrintzi and the original Café Bar Bilbao, open since 1911. Visit the La Ribera market — the historic 20th century market is the biggest indoor market in Europe and encompasses food stalls, product stalls, bars, restaurants, and live music spaces. 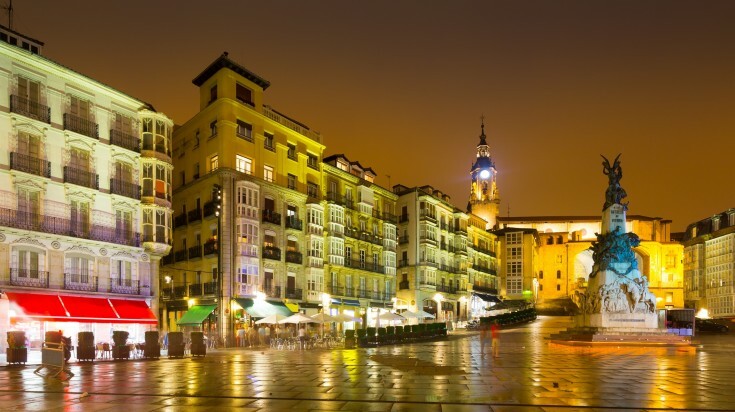 Although Lehendakari Aguirre Street in Deusto and the San Francisco district contain cheap bars and shops, avoid these two areas at night — the streets around here are known for being prowled by an unfavorable crowd. Sandy shores, surfer communities, breathtaking vistas, and a lively nightlife, San Sebastian serves as a perfect seaside escape. By day, time is passed on one of two of San Sebastian’s most popular beaches; La Concha for those who want to lounge and Zurriola for those who seek an adrenaline-pumping surf break. Bookending both sides of La Concha Beach are two lush grassy knolls, enticing visitors who make the trek up with hilltop rewards. By night, Parte Vieja is the place to be for pintxos and bar hopping. Sleep, repeat. San Sebastian’s pride and joy — Lounge on La Concha — a mile long golden-sand shore with crystal clear waters. Head to Zurriola Beach — a hot-spot for surfing, boasting excellent swell and several surf shops with board rentals. Party in Parte Vieja — the pedestrian-friendly old town pulses with an energetic nightlife and bar options after dark and offers plenty of centuries-old sights to behold, like San Vicente Church, the oldest in the city. Work off all those cocktails and pintxos calories from the night before with a morning hike up Mont Urgull for some stellar vistas. Head to Monte Igueldo — a hilltop amusement park, a go-cart track, and panoramic views await at the top of the funicular. Public bathrooms by the beaches shut down for two hours during siesta (13:00 – 16:00), so be sure to plan accordingly — especially if traveling with children. Plenty of lower-quality, mediocre pintxos bars have popped up in Parte Vieja. 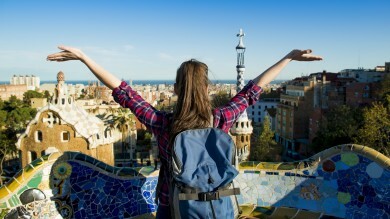 Do your research before picking a venue in this popular tourist area. Explore the surrounding coastal towns of San Sebastian — Gateria, Hondarribia, and Irun. With its 11th century city walls, medieval palaces, and historic churches, Vitoria-Gasteiz’s intimate environment invites visitors to relax and stay a while. Perched in the northern edge of the famed Riojas wine region, Haro boasts velvety red wines and crisp whites. Indulge in exquisite food complimented with a perfectly-paired wine. Surfers will be chomping at the bit to get to Mundaka and ride its legendary left-hand barrel, however there’s more to this coastal Basque town than big waves. It draws non-surfers with its charming port area crowded with historic homes, its beautiful beaches, and the opportunity to enjoy the natural surrounding beauty along its windswept cliffs. 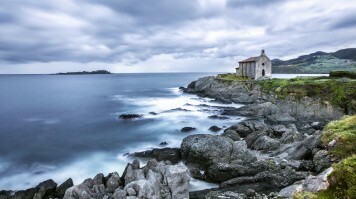 Best of all, the most photographed feature along the Basque Coastline is just 35 kilometers north of town. Surfers can relish perfectly formed barrels that roll for hundreds of meters. Take a spectacular view of the sprawling coastline from Santa Catalina Hermitage — a 19th century religious retreat site located on a rocky outcrop. Go on clifftop strolls on Urdaibai Biosphere Reserve overlooking the rocky coastline and lush green rolling plains. It is a sure-fire way to appreciate your time in Mundaka. Stroll on the tranquil setting of Laidaxtu Beach — a small beach with warm, golden sand surrounded by the greenery of the Urdaibai Biosphere. Visit San Juan de Gaztelugatxe — the rocky islet can be reached via causeway from the mainland and is topped by a 10th century chapel. If you rent a car and drive from Bilbao be aware that parking is a problem, especially around the inner city. When swimming or surfing, remember that the currents can be strong and waves can be big — if you aren’t an experienced surfer, now is not the time to learn. Roughly halfway between Bilbao and San Sebastian, this gorgeous little seaside fishing town is pure bliss. A sleepy town in winter, visitors begin to creep in during the warmer months — but only those who are privy to Lekeitio’s charm. The travelers who do come here are mainly after a few leisurely days spent lying on Lekeitio’s magical golden shores where the River Lea meets the Bay of Biscay, slicing the land into two parts and creating two glorious beaches. However, its port, old town, and surrounding areas offer some worthy attraction all on their own. Head to Isuntza Beach, the main beach in town from which beach-goers can watch the changing tides. Dissected by the River Lea, Karraspio Beach is Isuntza’s other-half. At more than 500 meters long, it’s Lekeitio’s longest beach. Walk out from Isuntza Beach and explore Saint Nicolas Island, only accessible at low tide when a sandy runway appears. Visit Lekeitio’s Port. The scene of small fishing boats bobbing in the water with last century’s wooden homes standing proudly in the background is definitely worth a few photos. Cobblestone streets and small shops and restaurants make Old Town the perfect place to explore after a fresh seafood dinner. Don’t miss Church of Asuncion de Nuestra — the 15th century gothic church located in the heart of the Old Town can even be viewed from Lekeitio’s sandy shores. Lekeitio is a small city with a population of roughly 7,000. If you’re into lively cities with plenty of entertainment options, Lekeitio may not be the place for you. 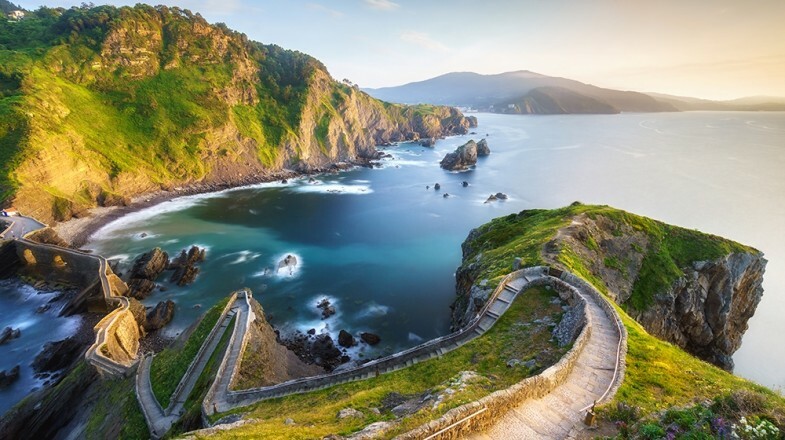 Summer (June, July, August) is considered the best time to visit the Basque Country in Spain. This is the season you can take advantage of the beaches, warm sunshine, outdoor attractions, al fresco dining, and all the summer festivals. How long should I stay in Spanish Basque Country? One week is a sufficient amount of time to explore the region. You can easily split your time evenly between Bilbao and nearby attractions (such as San Juan de Gaztelugatxe, Lekeitio, and Mundaka), San Sebastian (including the surrounding beach towns mentioned above), and Victoria-Gasteiz and Haro. Spend the extra night in whichever place you’re enjoying the most. 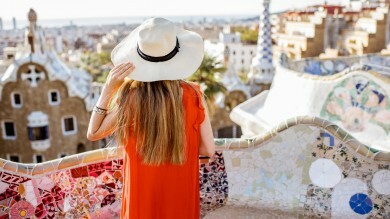 By car: If you plan to visit other parts of Spain before making your way to the Basque Country, you may opt to rent a car and drive from the popular tourist hub of Madrid. If you have time and want to make spontaneous stops along the way, this is a great option. Madrid and Bilbao are about 400 km apart and it’s nearly a straight shot all the way on the A-1 highway. By plane: Bilbao’s international airport receives direct flights from all over Spain as well as major cities in European countries like France, Belgium, Italy, Switzerland, Holland, Germany and Czechia. The San Sebastian Airport connects to both Madrid and Barcelona. By train: it’s possible to reach the two main destinations in the Basque Country (Bilbao and San Sebastian) via train from Madrid or Barcelona. Bilbao boasts the highest number of train options, also receiving passengers from many other Spanish cities likes Malaga, Segovia, and Salamanca. Trains to Victoria-Gasteiz are also available from Madrid and Barcelona. With two distinct destinations (and a whole lot in between), there’s something to suit everyone’s holiday needs. 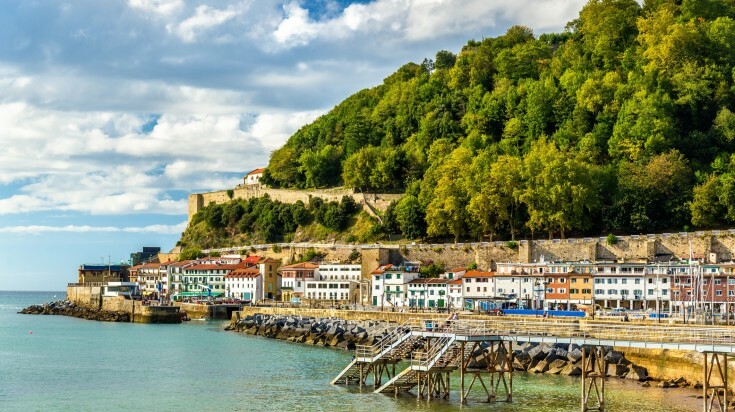 Whether it’s stretching out on soft golden sand, wine tasting some of Spain’s finest, or getting to know the intimate feel of as many pintxos bars as possible, the Basque region is begging to be rediscovered. Fortunately for tourists, the Basque Country in Spain has nearly fully bounced back from the political turmoil that once plagued it, making it a safe and peaceful place to visit in Spain.